OVER the last few Model UN sessions, delegates have been engaging in debate over rights for indigenous peoples. Here, Allie Stamler '16, delegate of the United Kingdom is seen arguing against an article in a proposed resolution. As the delegate of the UK, she held firmly that the resolution did not go far enough in protecting land rights and ensuring full equality of indigenous groups. 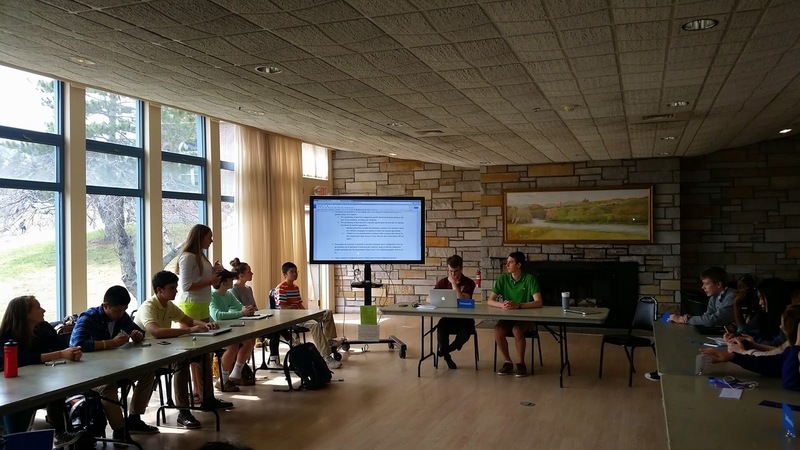 In the background, student-teachers Isaac Karlan Mason '15 and Zeke Smith '15 are seen chairing one of their last simulations. Both Isaac and Zeke are in their last term as four-year Model UN students.